October | 2011 | That's Ace! Who the heck is Trouble Andrew? I grew up idolising rock star snowboarder Trevor Andrew (or TRZA, as he later became known) and the whole Analog Clothing team for their riding and for pretty much destroying everything they touched. Andrew has now transitioned into real life rock star Trouble Andrew, and personally, I can’t stop listening to his new record ‘Dreams Of A Troubled Man’. It features some serious love from Diplo and Santigold so it’s gotta be good, right? Who cares… He’s still one of the funniest guys on the inter-planet. A brand new website, from the brilliant team at Prince Phil. Jonas Pfeil is a recent computer engineering graduate with a unique ability to make things smarter and more fun. Here is our favourite – the throwable panoramic ball camera, with 36 separate mobile phone camera’s brought together in a fun new way. 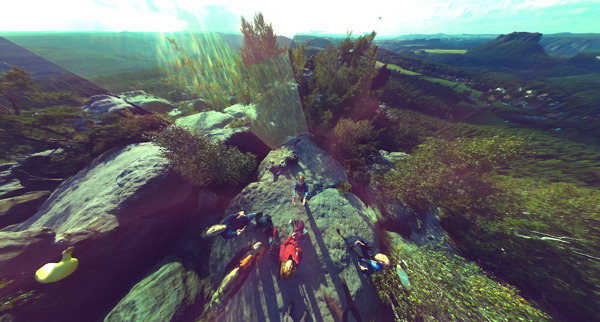 The end result will definitely challenge your perception of panoramic photography. Totally worth watching just for the child pageant chick at the end. Heard about Apple’s new voice activated personal assistant Siri but wondered why the hell you should care about robots taking over our phones lives? Red Pepper know exactly why you should care. It’s called remote controlled beer.